Low maintenance living. Spacious townhome on cul-de-sac, beautiful landscaped street. 3-bedroom 2.5 bath w/ 2 car garage. All new flooring throughout. Living room with gas fireplace, formal dining room, open floor plan. Kitchen with plenty of cabinets, double ovens, granite counter tops with plenty of space for cooking. Breakfast nook area a perfect place to start the day. Laundry room large enough to double as an office. The 2nd floor you will find 3 oversized bdrms including the Master, and all have walk in closets. Master bath with double vanities and whirlpool tub. Enjoy the private back yard with screened in patio overlooking stone patio with fire pit. Plenty of storage throughout. Sprinkler system, Central Vac.Low maintenance living. Spacious townhome on cul-de-sac, beautifu Low maintenance living. Spacious townhome on cul-de-sac, beautiful landscaped street. 3-bedroom 2.5 bath w/ 2 car garage. All new flooring throughout. Living room with gas fireplace, formal dining room, open floor plan. Kitchen with plenty of cabinets, double ovens, granite countertops with plenty of space for cooking. Breakfast nook area a perfect place to start the day. Laundry room large enough to double as an office. The 2nd floor you will find 3 oversized bdrms including the Master all have walk in closets. Master bath with double vanities and whirlpool tub. 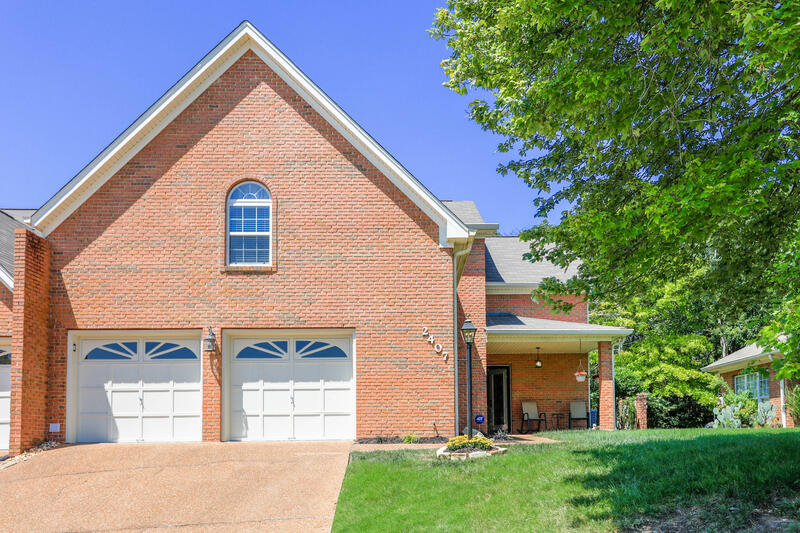 Enjoy the private back yard with screened in patio overlooking stone patio with fire pit.